Finally got a picture of it, that is. I finished - and wore - these while we were in Colorado but forgot to take a 'finished' shot when we got home. 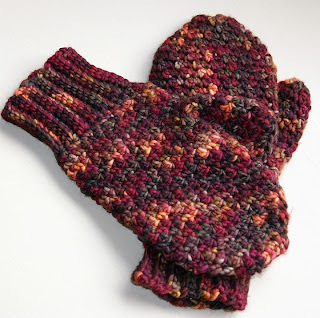 This is my Malabrigo Mittens pattern with minor modifications. 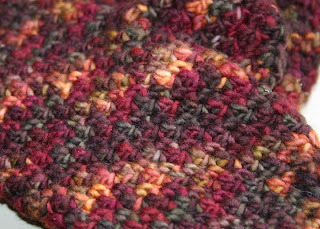 I used the smaller "G" hook throughout, rather than changing up one size as the pattern suggests, because I wanted to stitches to be tighter. Still loving the pattern, the yarn and the mitts.